It’s no longer a fad. In fact, video on mobile devices is now de rigeur for consumers and brands alike – and marketers are scrambling to catch up. What was life like before you had a smartphone or a tablet? Chances are you hardly remember. It’s clear that mobile devices have changed a whole host of things about how we live our daily lives, from how we shop and work to how we hail taxis, make restaurant reservations and get our daily news fix. One thing quickly changing is how we view video. Whether it’s the latest late-night comedy clip, news soundbite or viral YouTube or Vine clip, more and more video viewing is done on the go. Consumers no longer only watch video on TV or on their desktops. Instead, mobile video is everywhere, in news feeds and on the mobile web, in apps and in ads. Research firm eMarketer estimates that more than 105 million U.S. smartphone users watched video at least once a month in 2015, representing 55.5 percent of the total smartphone user base. Millennials, not surprisingly, lead the pack – 95 percent watch video on their mobile devices at least once a week. But while mobile video advertising enjoyed over $2.6 billion of investment in the U.S. in 2015, that number is still only a small portion of total mobile advertising budgets. There are still significant challenges in the nascent universe of mobile video, ranging from standards and measurement to obstacles due to multiple formats across a variety of “walled garden” apps such as YouTube, Facebook and Snapchat. Still, as devices become more powerful and better able to render video and display it without crashing, and as Wi-Fi is more easily available, mobile video will only increase as a marketing tool, says Rajeev Goel founder and CEO at Pubmatic, a marketing automation platform for digital publishers. 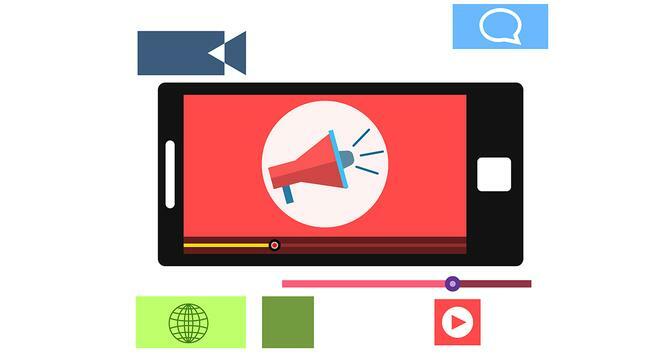 To succeed long-term in mobile video, experts say marketers have to put a more concerted effort into the creative side to meet the rising expectations of consumers – who have quickly gotten used to good-looking, quick-hit videos on their larger-screen phones and tablets. A traditional 30- or 60-second TV ad may not work on mobile, says Goel. “The attention span on a mobile device is shorter,” he explains, pointing out that in some cases, existing content can be cut into bite-sized experiences. But in the best cases, mobile-only short-form video ads are created in the punchy, tight way that works – in some cases just 6-10 seconds long. Experts say videos on mobile need to shift from horizontal – the traditional widescreen shape for television and YouTube – to vertical, in order to meets the needs of consumers used to holding their smartphones “tall” in their palms. In addition, apps such as Snapchat have made it clear that vertical videos perform better than horizontal ones. Many consumers keep their devices on mute during the day, while apps such as Facebook autoplay videos in the Newsfeed without sound. “Unless you have very visual creative, you’re simply not going to engage with customers who don’t have the sound on their phone turned up,” says Baer. As marketers struggle for proper mobile video measurement, in-app mobile videos – as opposed to videos running on the mobile web – offer a way to keep track of the entire consumer journey in a way that hasn’t been possible previously, says Baer. For example, he explains, Vungle uses creative optimization technology, working with advertisers to modify creative based on user segments. “We’ll use red call-to-action buttons if we’re promoting ads in China because red is a lucky color there, or we’ll move the ad because some languages read text from right to left,” says Baer. In addition, interactive “end-cards” allow users to click on a variety of calls-to-action – so different viewers end up having different experiences. The bar has clearly been raised in the mobile video space – experts maintain there will still be plenty of experimentation as the landscape evolves and marketers keen to engage with consumers work to develop a strategy that works.